The Peacock at Rowsley is located in the heart of the Peak District National Park and there are many routes for walkers not too far from the hotel door. We find many of our guests like to combine a luxury getaway with a Peak District walk, and so we have put together a couple of route recommendations. This Peak District walk is 6 or 8 miles long, taking you to Chatsworth through the woods and fields of the Peak District. You can choose between a shorter or longer route back, with the longer route taking you along the scenic River Derwent. If you get hungry or thirsty along the way Chatsworth House has much to offer. There is a pub and a restaurant in the old stables, and a café in the gardens that serve light refreshments. 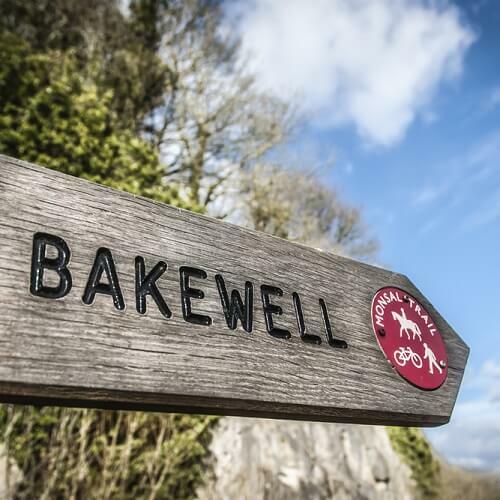 You can also enjoy a well-deserved drink at the Red Lion pub in Bakewell after your walk.View detailed route information here. This circular 7 mile walk has three different starting points (if you are traveling by car). You can start at Chatsworth House, in Baslow Village or at Birchen Edge car park. The route combines superb walking with local history and several possible pit stops. You will have a chance to explore beautiful Chatsworth House and gardens, and you will also see Nelson’s Monument and the Wellington Monument. Nelson’s Monument was erected in 1810, only five years after the Battle of Trafalgar.If you need a drink and a rest, the Robin Hood Inn by the Birchen Edge car park is well worth a visit. The same can be said for Chatsworth, though if you are stopping here we recommend you set aside a couple of hours. In Baslow you will find three pubs and several tearooms, depending on what takes your fancy.View detailed route information here. 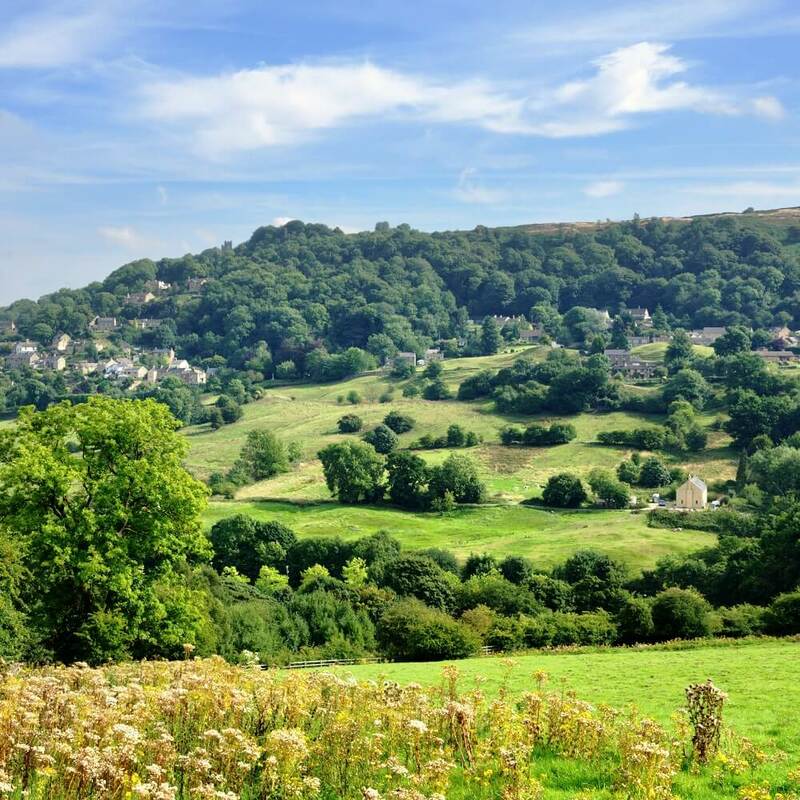 This 3.3 mile walk lets you explore the area around Matlock Town, a bustling town that boasts an award-winning park. Matlock is a 15 minute drive from The Peacock at Rowsley, and this walk starts at Matlock Bath. The route combines strenuous walking with rich local history. It will take you up High Tor, a limestone crag that towers over Matlock Bath, before you walk on to see Riber Castle, a 19th century Grade II listed country house. You can then stop for a pint at The White Lion at Starkholmes before you return to The Peacock to put your feet up.View detailed route information here.